When you experience an issue with your diesel-powered vehicle, it’s best to have repairs performed by a professional. You shouldn’t trust your repairs to any mechanic. At Cartech Automotive & Transmission Repair, our fully trained technicians specialize in diesel auto services in San Antonio, TX. With over three decades of experience to our name, you can count on our technicians to properly diagnose your diesel engine issues and provide you with thorough repairs. Whether you have a diesel pickup or fleet vehicle, we’ve got your every need covered. When your trucks are your business, the last things you want to experience are malfunctions that will take you off the road. 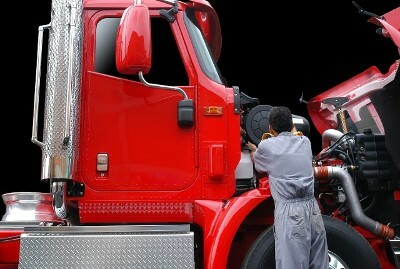 You simply can’t afford to have your truck out of commission for an extended period. Keep the impact disruptions have on the flow of your business by turning to our trusted technicians for fleet engine work. Our trained technicians know what issues to look for and how to resolve them. As a result, you can expect nothing less than excellent work which means you can expect nothing short of excellent work. When you turn to our technicians for specialized auto diesel repair work, you’ll have your fleet rolling down the highway again sooner than you thought possible. Has your truck’s performance started to diminish? If you notice that your truck is getting poorer fuel economy than it usually does or has multiple part failures, you may need substantial repairs. Bring your truck into our specialists and we’ll provide you with an accurate diagnosis and offer you objective, sound solutions to your vehicle’s performance issues. Whatever your needs, you can rest assured that we’ll provide you with the right parts so you can make the most out of your investment. Contact our automotive mechanics to repair and restore your diesel-powered trucks and fleet vehicles. We proudly serve drivers in San Antonio, Helotes, Leon Valley, Pipe Creek, and Bandera, Texas, and the surrounding communities.